Don’t worry there’s alternatives to stopping foreclosures!!! If you have missed more than three mortgage payments or your lender has filed a Notice of Default (NOD) you might think the loss of your home is inevitable. Even at this stage you can find help from Level One Property Group. 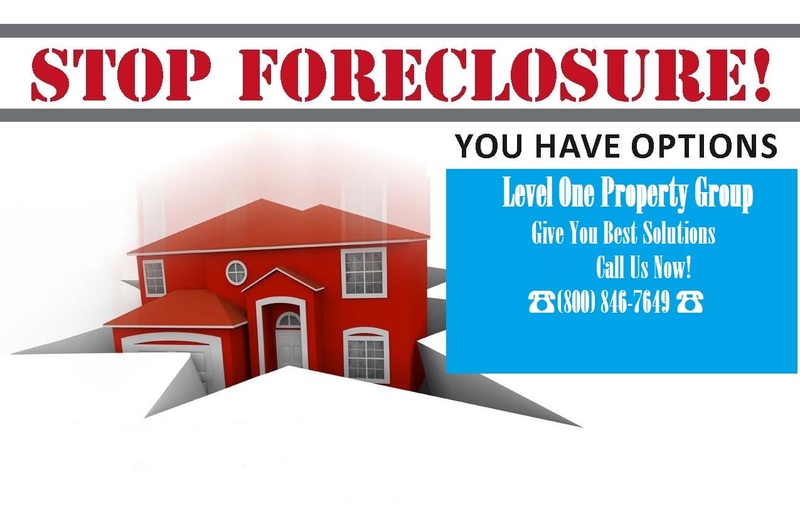 We’re able to assist in stopping the foreclosure process up until the time your home is scheduled for auction. We would rather work out a compromise which would allow you to get back on track with your life as well as saving your credit instead of your home being taken due to foreclosure.